The boys will learn lots of stuff and have lots of fun both with the other scouts and with their families! Some of that includes staying healthy, making a meal, knowing their home, community and country, building things, being safe, making good choices, and much, much more! "Hi Wolves and prospective Wolves! We're having a great year so far, but it'll be better when you get here! When you have registered as a new Wolf and have received and accepted your invitation to join Scoutlander, be sure to contact me using the Broadcast System. That way we can at least meet electronically and you can provide input and resources (for example, "my mom is a Physical Education teacher and she knows lots of fun games") that can become part of our program plan. In the meantime, be sure to attend the next Pack-provided activity listed on the Pack's "Home Page" for loads of Cub Scout fun. You'll very likely see me there!" 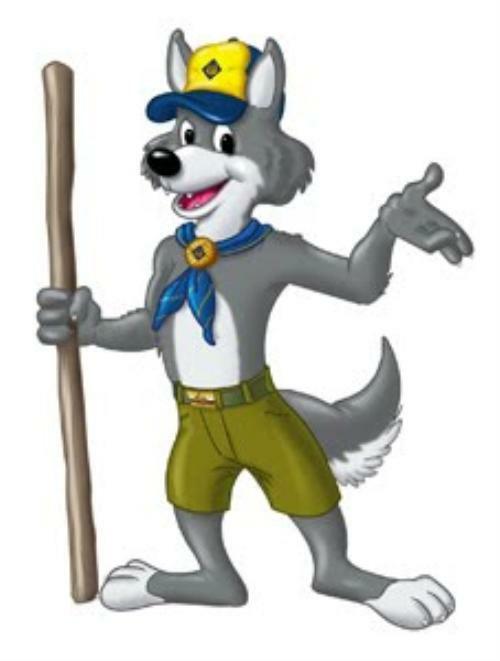 Note: Wolf and Bear uniforms are the same except for the hat, neckerchief, neckerchief slide, and socks. *Size the shirt rather large as it should last until at least the third grade. Your son will be encouraged by leaders and should be encouraged by parents to wear his uniform appropriately. The shirt should always be tucked in and orderly. 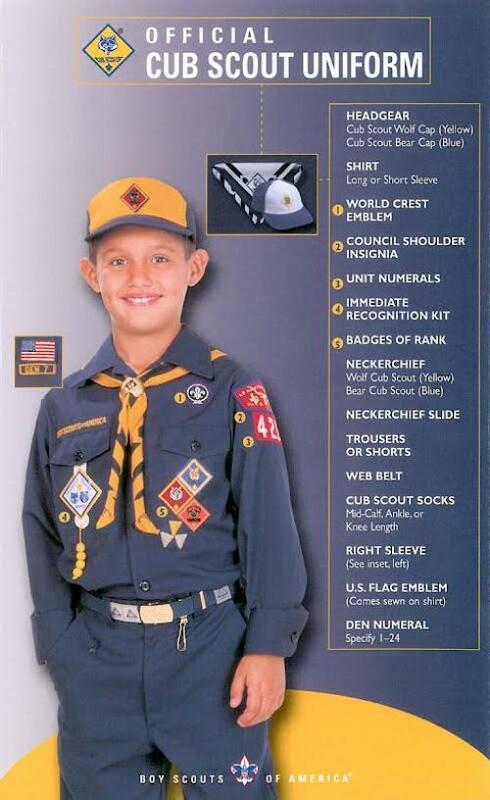 He should understand the importance of representing the entire Boy Scout Organization while in uniform. The image to the left will help with the placement of emblems and patches. See the attached patch and badge placement guide for more details. No time to sew? We recommend "Jenny's" in Quantico Town. She charges $1 to sew on most patches, $2 for large patches or patches sewn onto pockets.